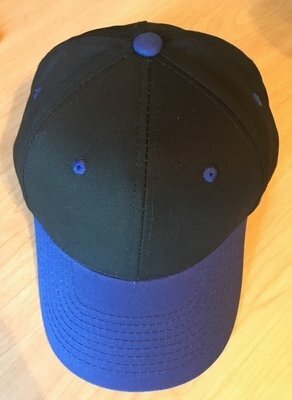 Cotton twill pre-curved visor black cap, royal blue visor (royal blue under visor). Structured 6 panel cap, mid to low profile 15% wool / 85% acrylic. Adjustable hook and loop tape closure.